The tastefully incorporated work on the neckline and the bust area looks nothing less than ravishing. The shimmering sequined lines on the gown make it perfectly wearable for an exclusively grand occasion. 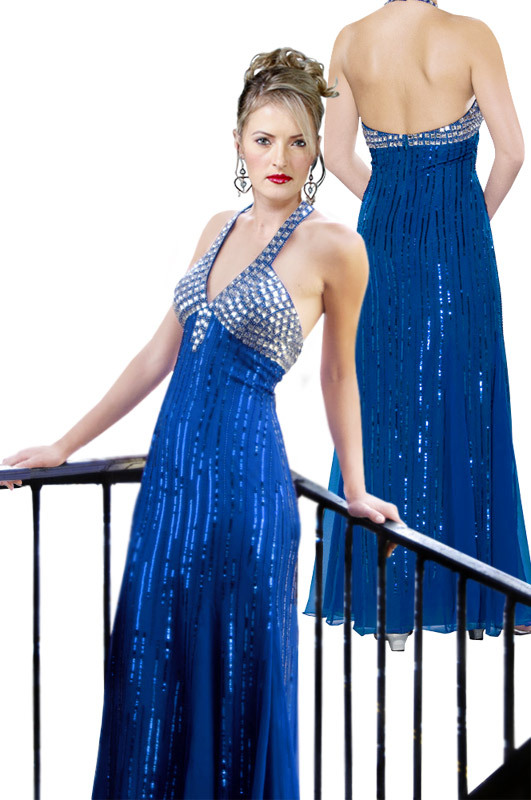 This �Dazzling Deep V Halter Evening Dress� is truly worth flaunting.